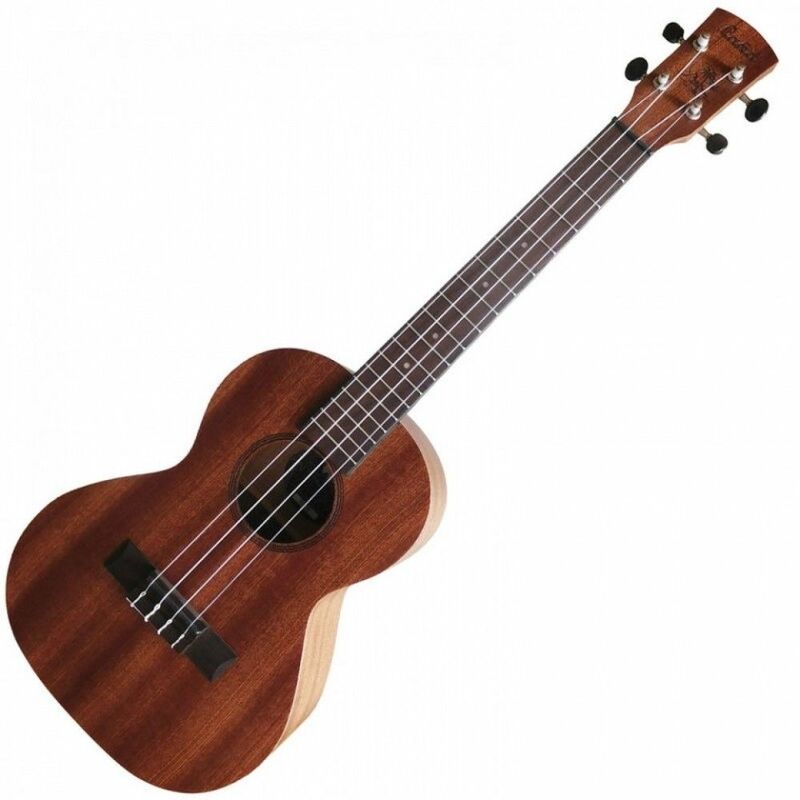 A tenor uke is just slightly bigger than a concert Uke. Great for people with bigger hands or anyone wanting a larger deeper sounding instrument. Tuned the same as a Soprano or Concert: gCEA where C is the deepest lowest pitch string. Conclusion: for a start the specification states that it has a solid Sapele top but I’m really not sure that it is. It looks laminate to me ! However, at this price let’s not worry too much. It IS great value, really well put together for the money. A bit plain looking maybe but then mahogany / sapele is a bit plain so we really shouldn’t think too negatively. It plays and sounds pretty darn fine for the money AND it comes with a very attractive carry case. I think you’d have to pay nearly double to get a uke that was noticeably better. Try it – see what you think.